Wow. This is such a complete opposite to what I had expected from the Cookson ‘image’ that I’m not sure what to write. I really don’t want to do any spoilers because I would recommend this book as a book that you should read. It’s not a romance, the opposite in fact, this is a Sopranos style fall out. Hannah Massay is a witch of matriach, that has dragged her large noisy family up from Bog’s End to Grovesner Road, with ambitions of Brampton Hill. She does this through manipulation and robbing her twelver sons, which she appears to have had purely for the wages they could have brought into the house. Idolising materialism, with no appreciation of learning or intelligent thought, she has disowned one son for marrying ‘up’ and becoming a school teacher and won’t let anyone in her front room to sit on her suite. She is tyrannical and mean, all smiles and laughter on the outside, but keeps her sons closer than Aunt Ada Doom and is mean and rude to her lodger, Hughie, to the point of cruelty. This isn’t her story, though, but that of her daughter, Rosie. The book begins with her mysteriously leaving London with an empty basket and ten pounds from a hastily pawned ring. There is some Massive Mystery as to why she returns to Newcastle and her family, which unfolds beautifully, and isn’t what I thought. 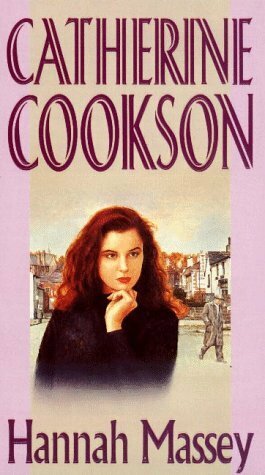 There are parts of this books that belong to Cookson Bingo, but only a couple, and they sort of fit in with the rest.